The Cisco Academy program at ECPI for Cisco Certified Network Professional (CCNP®) validates the ability to plan, implement, verify and troubleshoot local and wide-area enterprise networks and work collaboratively with specialists on advanced security, voice, wireless and video solutions. The CCNP certification is appropriate for those with at least one year of networking experience who are ready to advance their skills and work independently on complex network solutions. Those who achieve CCNP have demonstrated the skills required in enterprise roles such as network technician, support engineer, systems engineer or network engineer. This program is approved for Veterans and Tuition Assistance. This course provides the knowledge to perform advanced router configuration for intermediate to large scale Inter-networks. Topics include an overview of scalable Internetworks, managing and filtering IP Traffic using advanced access control lists, extending IP addresses using VLSMs, and configuring advanced routing protocols such as EIGRP, and BGP. This course is designed to provide professionals of medium to large network sites with information on the use of advanced routing in implementing scalability for Cisco routers that are connected to LANs and WANs. Students will plan and document the configuration and verification of routing protocols and their optimization in enterprise networks. Identify the technologies, components, and metrics of EIGRP used to implement and verify EIGRP routing in diverse, large-scale inter-networks based on requirements. Identify, analyze, and match OSPF multi area routing functions and benefits for routing efficiencies in network operations in order to implement and verify OSPF routing in a complex enterprise network. Implement and verify a redistribution solution in a multi-protocol network that uses Cisco IOS features to control path selection and provides a loop-free topology according to a given network design and requirements. Implement and verify a Layer 3 solution using BGP to connect an enterprise network to a service provider. This course is designed to help students prepare to plan, configure, and verify the implementation of complex enterprise switching solutions for campus environments using the Cisco Enterprise Campus Architecture. Students will implement VLANs, spanning tree and inter-VLAN routing in a network. 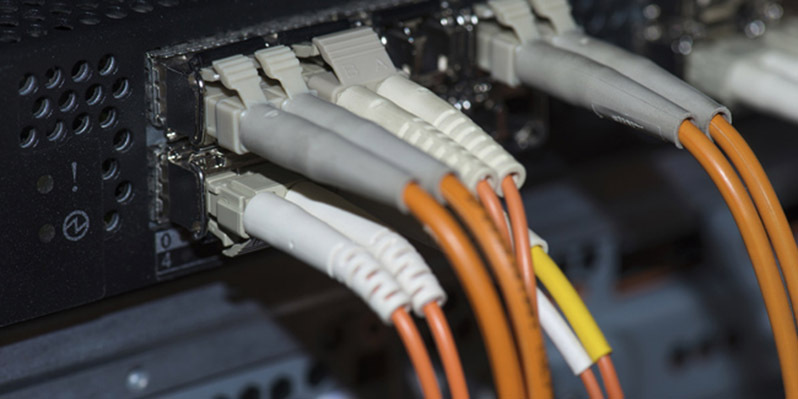 Students will use high-availability technologies and techniques using multilayer switches in a network environment. Security features in a switched network will be introduced to the students. This course will provide information about troubleshooting and maintaining particular technologies, as well as procedural and organizational aspects of the troubleshooting and maintenance process. Students will plan and document the most commonly performed maintenance functions in complex enterprise networks. Then develop a troubleshooting process to identify and resolve problems in complex enterprise networks. They will select the tools that will best support specific troubleshooting and maintenance processes in large, complex enterprise networks.